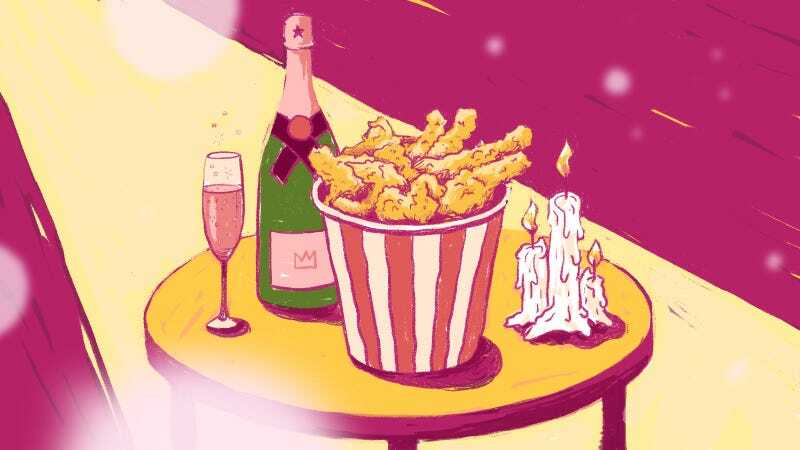 Is there anything in this world that’s better than fried chicken and champagne? For me, nah, not really. A box of Popeyes (spicy, with a biscuit and fries) paired with a good, dry bubbly never fails to help me glimpse nirvana. Sandwiches and potato chips. In the sandwich. Readers, what are your perfect pairings? Do you share a love for any of the above? Tell us in the comments. And if you’re in search of an exquisite luxury lifestyle pairing, including many of the above, try Gilt and Gilt City. It’s the perfect marriage of fashion, home decor, and cosmopolitan experiences. This post is a sponsored collaboration between Gilt and Studio@Gawker.